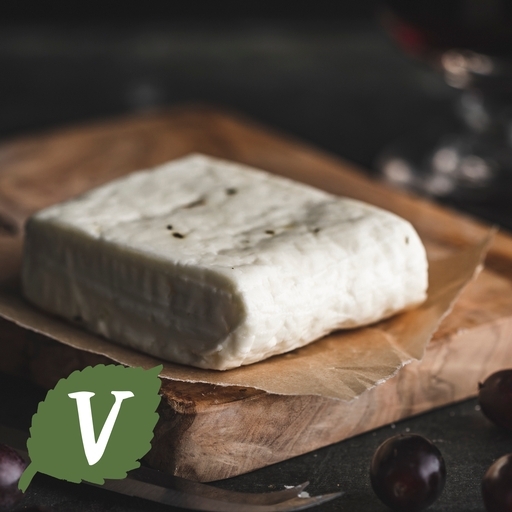 An irresistibly moreish organic halloumi, made with fresh sheep’s milk at High Weald Dairy in Sussex. Firm and squeaky to the bite if eaten raw, when it’s dry-fried or grilled, this cheese transforms into a marshmallow-like texture with a crisp outside. It works beautifully with roasted veg on a bed of couscous or threaded on a kebab with courgettes and tomatoes. Pasteurised sheeps' milk, salt* (2%), mint, vegetarian rennet.